The classic art of the boxarts. 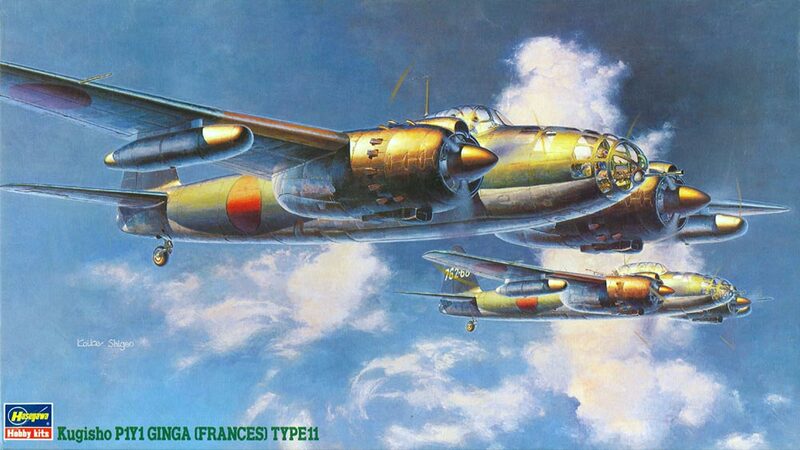 Designed for low-level torpedo and night bomber attacks, the twin-engine, Yokosuka-built P1Y Ginga began flight trials in the summer of 1943. While initial versions were not deemed impressive by the Imperial Navy, the P1Y1-S, with its increased speed, Type 99 cannons and Type 2 machine guns, was highly regarded and extensively used until the end of WWII. Kit features full decals and highly detailed parts.